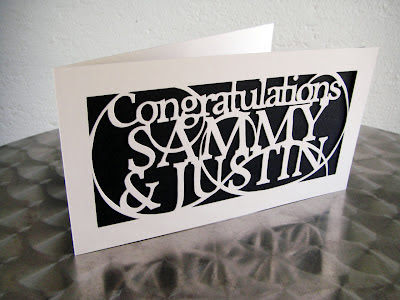 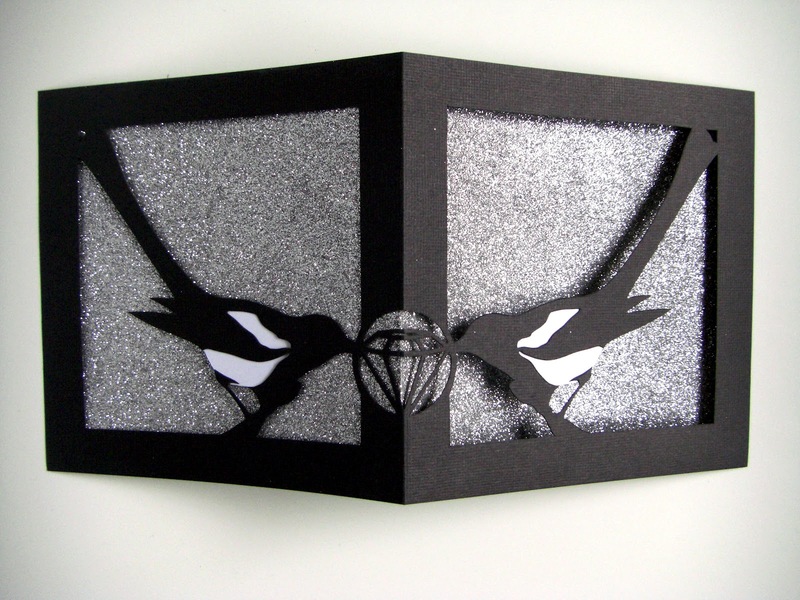 A card to congratulate my friend on her wedding, which is black and white themed. 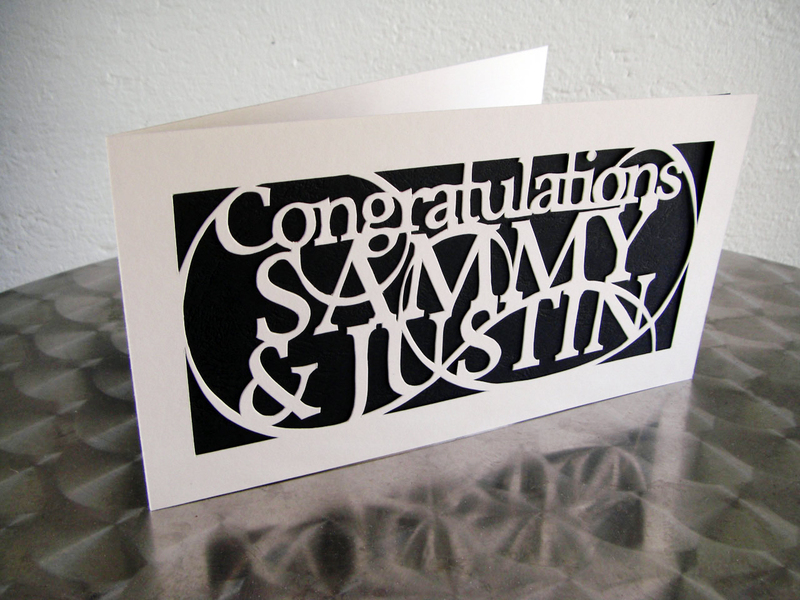 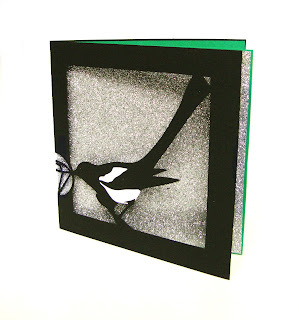 Hand cut in heavyweight mounting card with black leather-texture-pattern card backing. This card weighed a substantial 27g. I spent over 5 hours designing the layout and took around 90 mins to cut it. 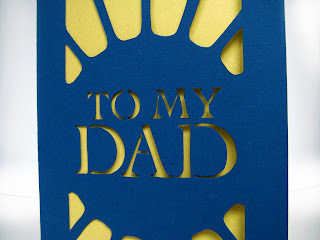 A hand cut Father's Day card for my dad. 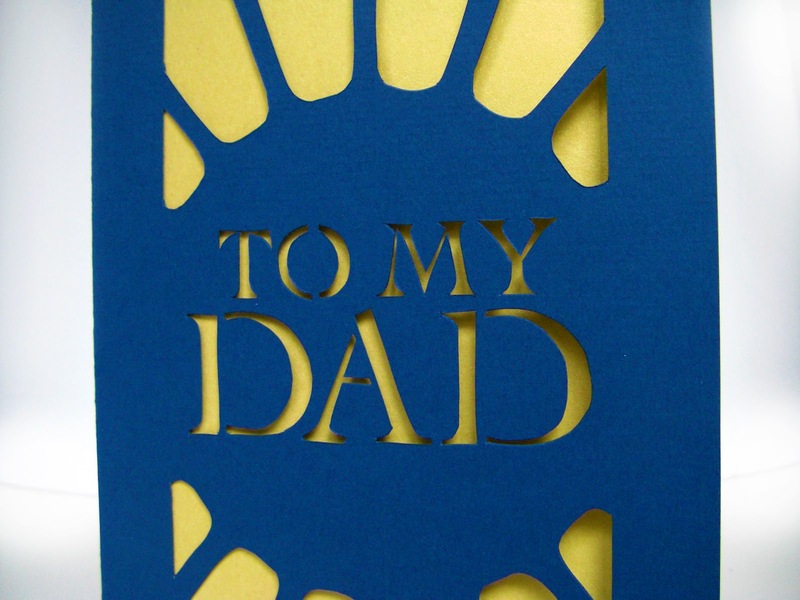 Dark blue card with gold behind – such a lovely, rich colour combination. 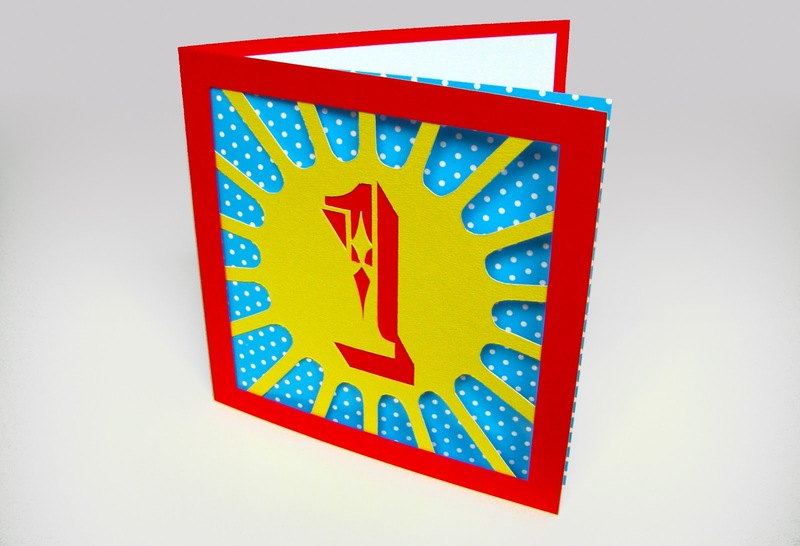 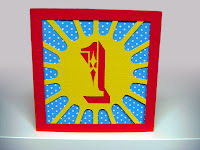 Handcut birthday card for a friend, who loves Tatty Devine. 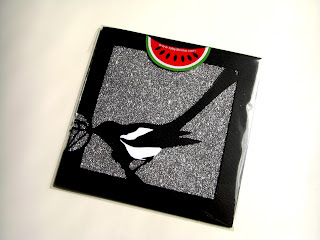 This design is based on Tatty Devine's iconic Magpie Necklace, which my friend often wears. 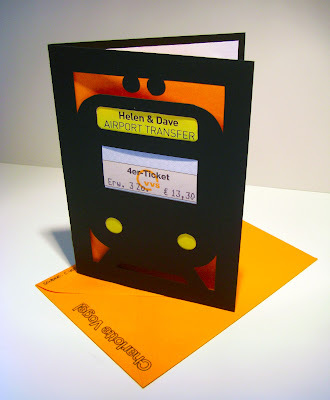 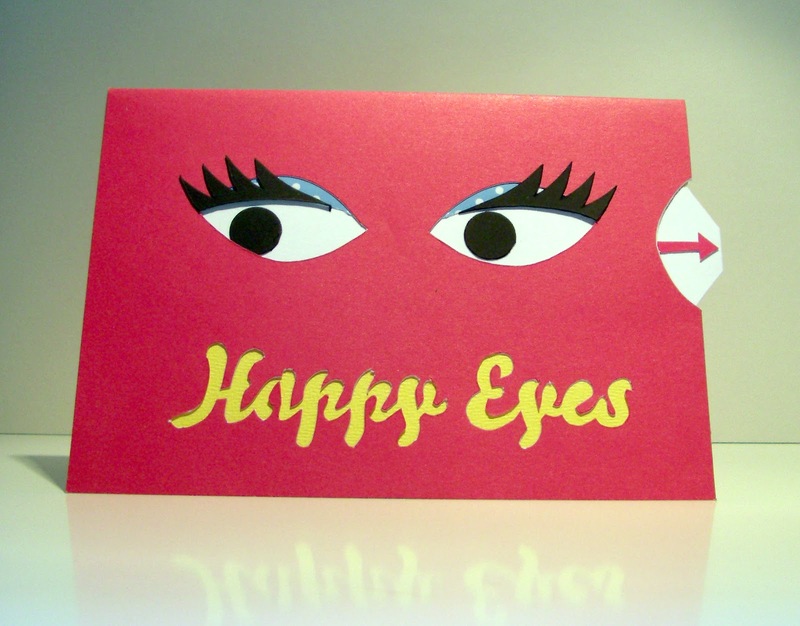 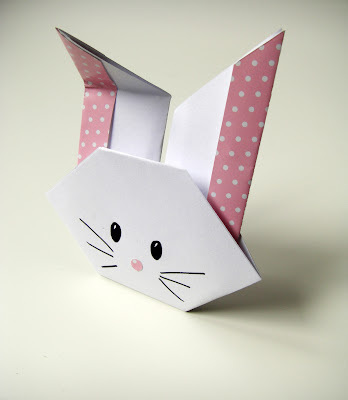 I love the idea of a double sided card – I haven't made one like this before. 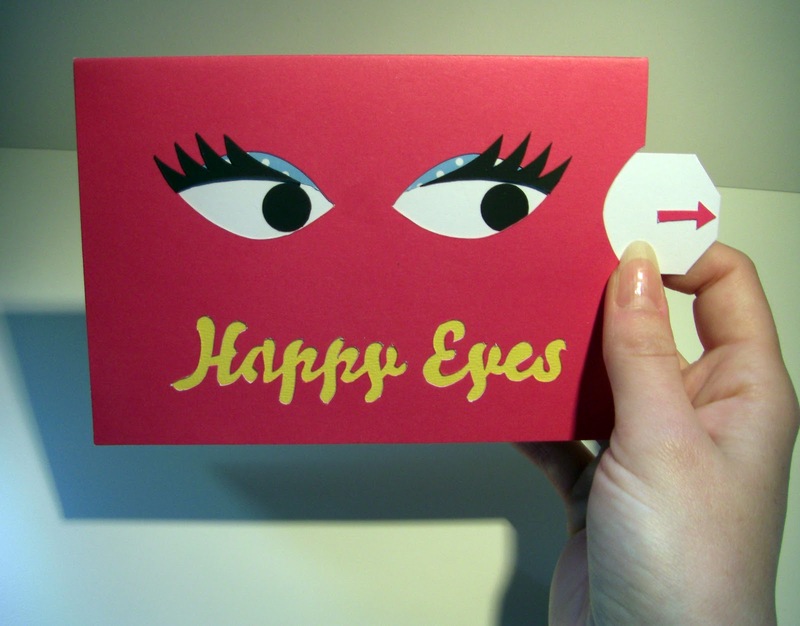 I had a spare Tatty Devine sticker, so I used this to seal the cellophane wrapper. 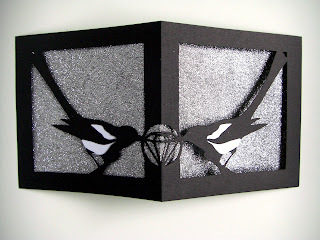 It finished it off perfectly and has inspired me to have some of my own made for this purpose. 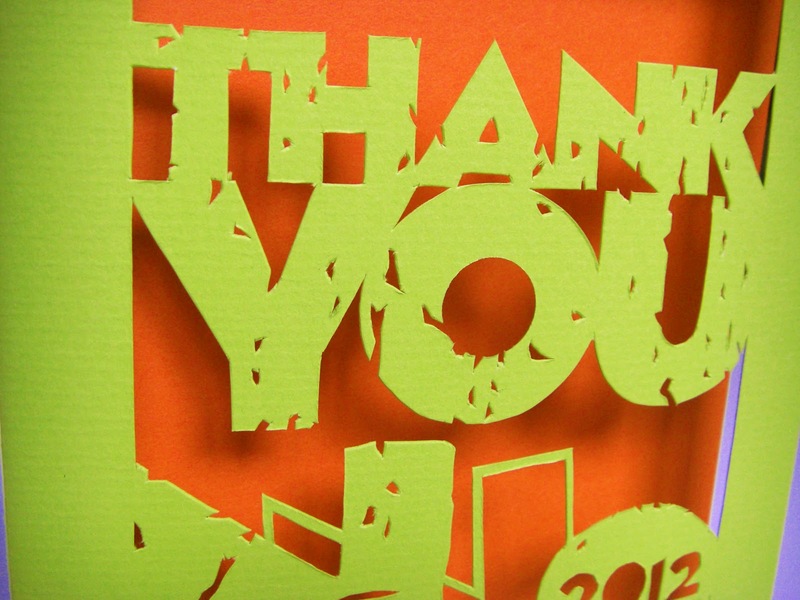 A thank you card to the Norfolk & Norwich Festival for being such great clients this year, and also to thank them for bringing so many great shows to Norwich. 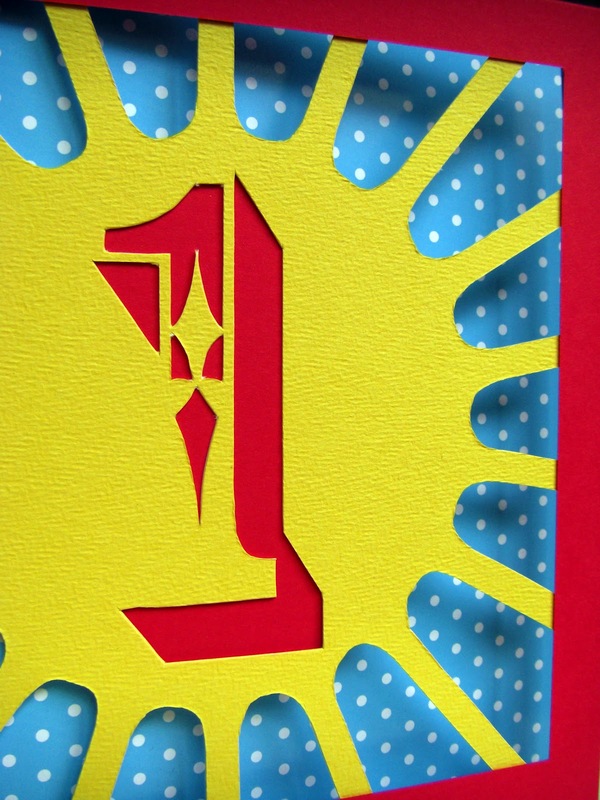 Card design is hand cut, using their branding typeface, logo, and primary colour scheme. 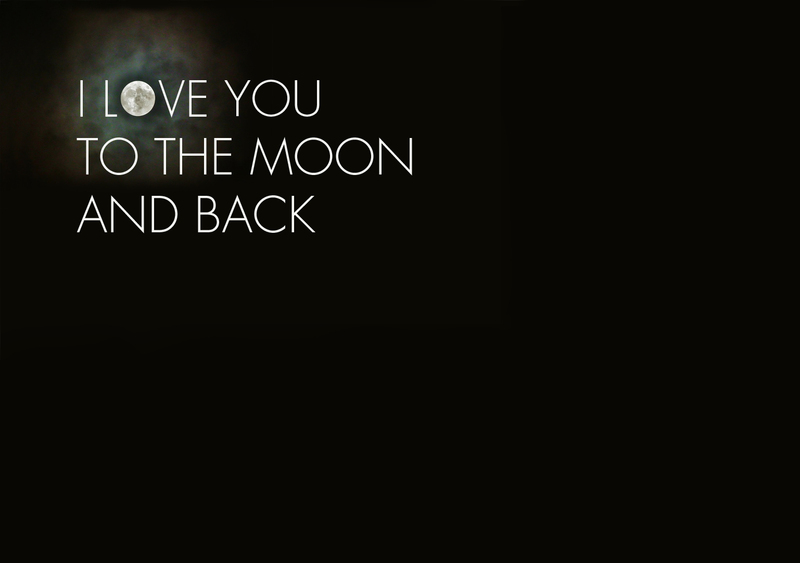 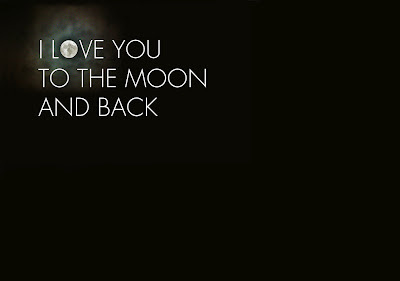 I love the moon… my digital doodle. 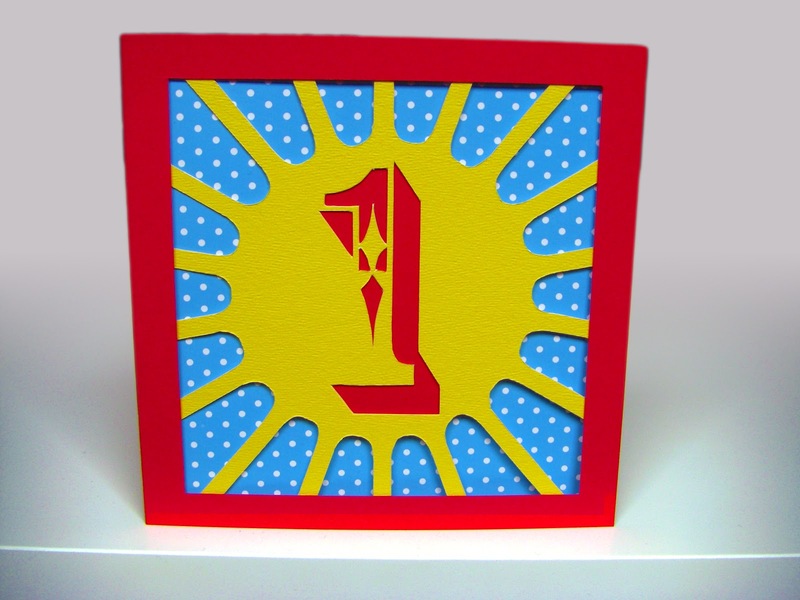 I made a birthday card for our one-year-old little friend on her first birthday. 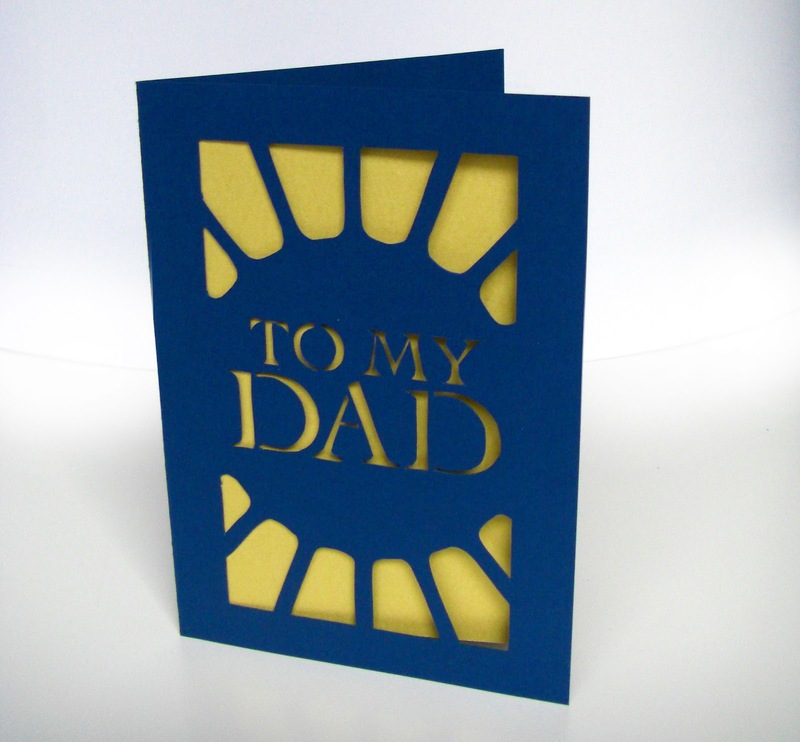 The design is inspired by the sun, as she has now been all the way around it! 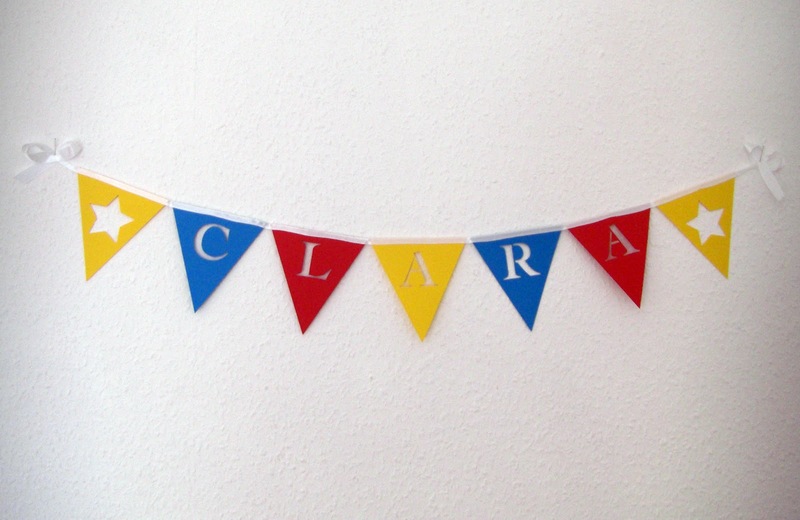 A DaWanda commission to make two sets of bunting for two new-born babies.